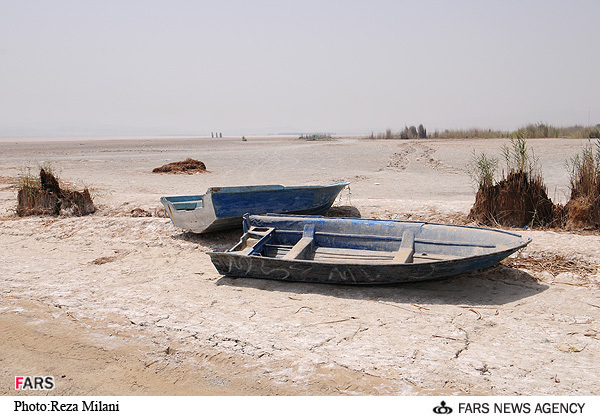 Lake Parishan, a lake in Kazerun, Fars Province, was the largest freshwater lake in Iran. The lake and the wetland was a protected area, as it was considered a globally significant wetland ecosystem. Lake Parishan was not a very large lake, with a surface area of approximately 42 km2. 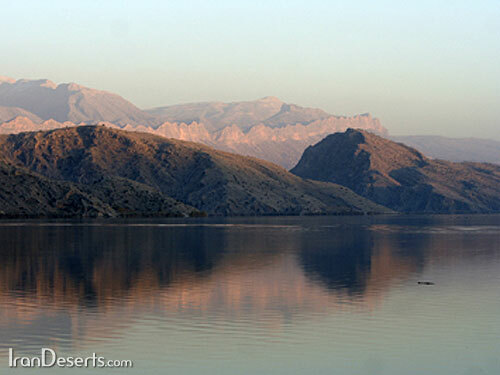 But thousands turtles, migratory birds, snakes, and other animals lived in Lake Parishan. 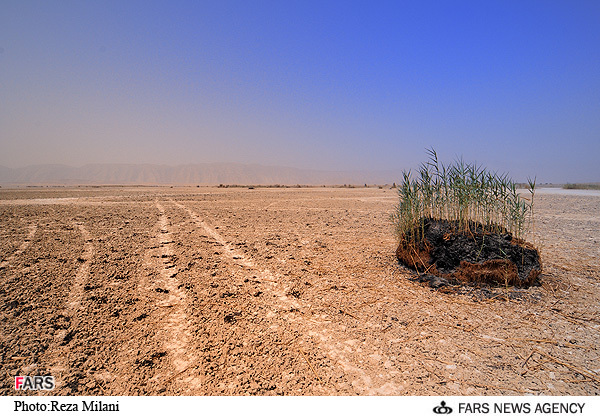 Iran is a dry country, like the western parts of the US. In fact, most parts of Iran are like Nevada, Arizona, Utah, Wyoming, Colorado, etc. So, it’s so obvious that the lakes and water resources should be very important for Iran’s regime, but it’s not. 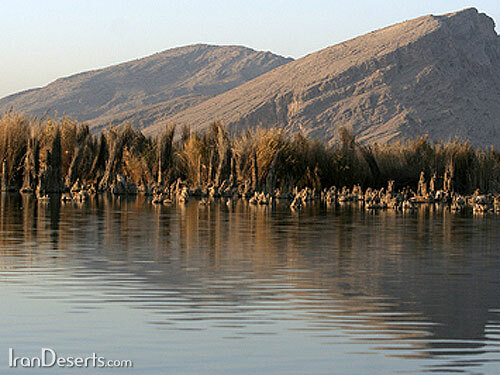 Lake Parishan lies in an enclosed drainage basin in a broad valley and is brackish to saline. 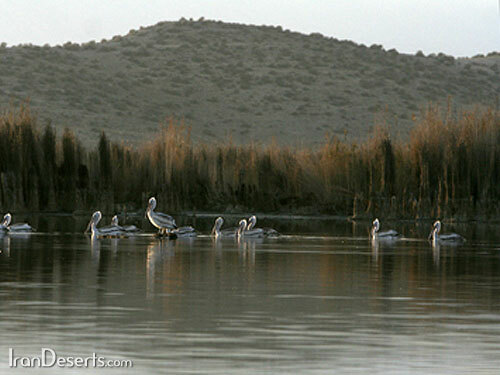 In fact, Lake Parishan was a rare wetland inside the great desert of central and southern Iran. Salt-tolerant vegetation was predominant around the lake and large areas of grassland are now under wheat. The Lake and the wetland was a protected area, of course a Mullah protected area, that means a totally unprotected area ! . The Mullahs don’t care about the environment, the people, the animals, etc. The reports added: “This painful disaster happened as a result of some Mullah officials in the town of Kazeroun approved the construction of a road in the Parishan wetland. In the past 12 months close to 30 acres of the bamboo filled areas around the lake have been consumed in fires set systematically and deliberately by those who responsible for the destruction of the Parishan wetland. Around 20 acres were destroyed in the deadly fires within the past year, while over 8 acres were burned in the last 1.5 months”. 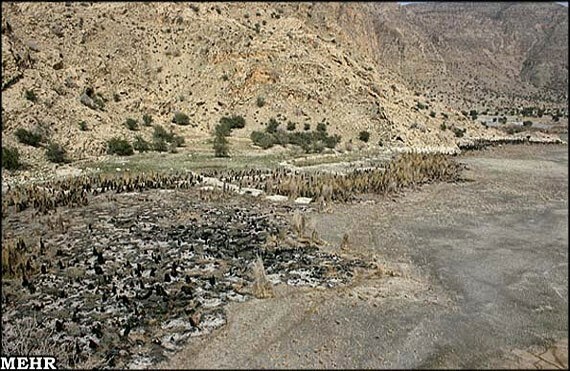 In 2009, the people reporters said: “The Mullah environmental protection agency has been ordered by the Mullah Justice Department to investigate the destruction of Parishan wetland and identify those responsible for this destruction. But it’s only a dirty trick. They want to play with public opinion, and pretend ignorance. It’s so obvious who are the main responsible for this destruction and who systematically and deliberately destroy the environment.” Now, the Parishan wetland has destroyed completely, and nothing happened to those responsible for this disaster. You are currently browsing the News About Iran blog archives for the day Monday, August 15th, 2011.